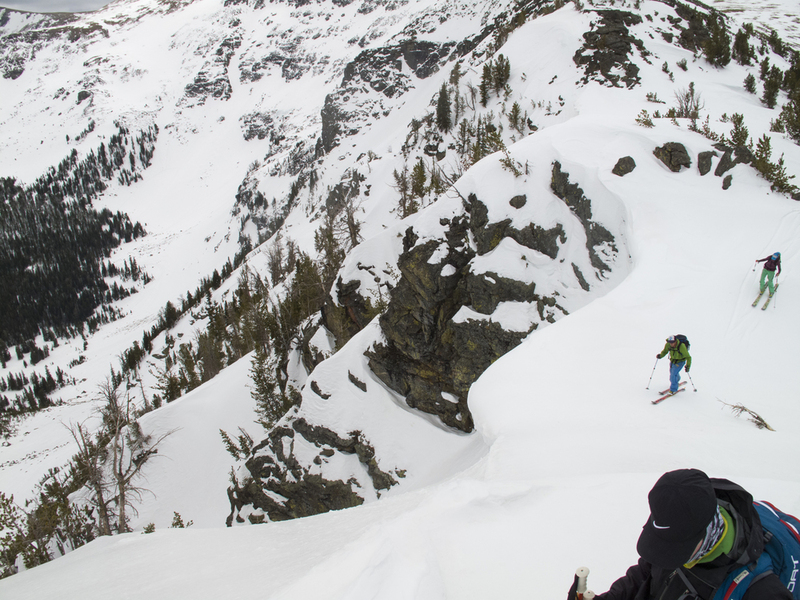 Hiring Big Sky Backcountry Guides is more than an assurance of safety, service, great snow, and the best possible experience. It's an opportunity to learn from professionals, relax, and unplug in an amazing place. Let us take care of you--this is your vacation! Besides getting you to the deepest snow and best lines quickly and safely, we pride ourselves on excellent cuisine, and you can expect uniquely Montana dishes such as bison red curry and elk bolognese in addition to hearty hot breakfasts, summit-worthy field lunches, and delicious après-ski hors d'oeuvres. Our philosophy is that every element of your trip should combine to produce an experience you'll never forget. Learn more about our professional, personable guides HERE. Fully guided and catered packages start at $225 per person, per day, with a maximum guide to client ratio of 4:1. Rate sheet HERE. Custom Itineraries include yurt-assisted traverses, ski mountaineering objectives, peak-bagging opportunities, and casual wine-and-dine packages with professional chefs. Mix and match: hire a guide for just part of your trip for great value. No group? No problem! Check out one of our Tour Weeks, which provide all of the benefits of a fully guided, catered trip, with none of the organizational hassles of managing a group--just show up and ski! Whether you're traveling solo, or you're bringing a few friends, it's a great value, and a fun way to meet skiers from all over the world while you make turns, and enjoy the Montana backcountry. Learn more HERE. Prices and information on our avalanche courses and specialty clinics can be found on our Education page. Prices and information on our Backcountry Intro Camp, Montana Haute Route, R.A.D. Camp, and Ski Mountaineering Course can be found on their respective pages, or call 406-581-5754 for details. Be a part of something singularly spectacular: ski the only dedicated haute route (literally translated from French as "high route") in Montana. For a small group of select guests each season, this is an opportunity to ski the entire length of the rugged Tobacco Root Range, skiing big lines along the way and using Bell Lake Yurt in the style of full-service European mountains huts. This is truly a trip of a lifetime that can't be found anywhere else! Click HERE to learn more. If you are interested in dates that appear reserved for courses, camps, or Tour Weeks on the calendar, please let us know! In some instances, we may be able to change programming dates to accommodate your group. We want to ski with you!